In 2011 Pakistani politician Maulana Fazlur Rehman offered prayers in parliament for Osama Bin Laden after news of his death. This week Maulana Fazlur Rehman blamed women in jeans for earthquakes around the world. Rehman also blamed immodest women for economic crisis and natural disasters. 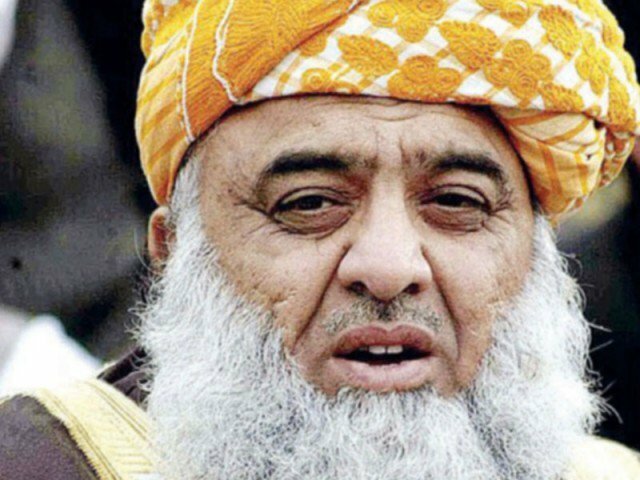 Jamiat Ulema-e-Islami Fazl (JUI-F) chief Maulana Fazlur Rehman, a Pakistani politicians has said that women in jeans are responsible for the earthquakes occurring around the world. He also blamed these ‘immodest women’ for economic crisis and other natural disasters. Rehman has also demanded the Pakistan armed forces to launch a military operation against women wearing jeans in Pakistan.